What happens when your Samsung Galaxy device is working perfectly fine and then suddenly the signals are gone, you can’t make calls, can’t send text and no matter how many times you perform factory restore but still nothing works at all. This all happens when you are facing unknown baseband version issue on your Samsung Galaxy device. In this following tutorial I will guide you to fix Samsung Galaxy unknown baseband version and this guide is not specifically for a single variant, you can perform all these steps on Samsung Galaxy S1, S2, S3, S4, Note 1, Note 2, Note 3, S4 and all other devices. Following are the main issue that have been reported till now. 3.1 Lets start the work ! 7.1 You can also use the method 1 on Samsung Galaxy S4. Following are the symptoms that you will get when you are facing Unknown Baseband Version on your Samsung Galaxy. 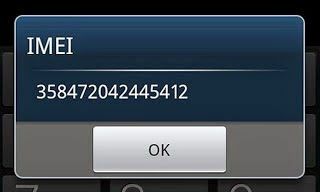 Before starting the guide let me tell you why are you facing unknown baseband version, the main reason is that your EFS data folder is deleted or corrupted that contains your phone IMEI number. You can use our guides on backing up efs data folder. Lets start the work ! Step 1: Learn how to backup and restore EFS DATA/IMEI ON SAMSUNG GALAXY. Step 2: Make sure your device is rooted. [ How to root Samsung Galaxy ]. Step 3: Enable USB debugging by going to Settings >Developer Options>USB debugging “checked”. Step 4: Now connect your device to Computer. Step 5: Download EFS Professional v2.1 . Step 7: Now you’ll see a pop-up select EFS Professional. Step 8: You’ll be promoted on next windows where you can see your device is connected and ready for the process. Step 9: On the top of the window you’ll see tabs Welcome, Backup, restore, Qualcomm, Debug. Step 10: Select backup form the tabs. Step 11: After selecting the back you’ll be in backup section now. Select all the partition on left side, now click on Backup. Step 12: Save the backup file of your Samsung Galaxy EFS data to the secure locations. Step 13: It will take few minutes to backup the efs data folder. Step 14: Once done go to Restore tab and select the backup file that you’ve saved before, click on restore to fix the Samsung Galaxy unknown baseband version. Step 1: Enable USB debugging by going to Settings >Developer Options>USB debugging”checked”. Step 2: Now connect your device to Computer. Step 3: Download EFS Restorer Express. Step 4: Open the EFS restore express folder and run the EFS-BACKUP.BAT file. Step 5: Now select restore the EFS via ODIN. Step 3: Enable USB debugging by going to Settings >Developer Options>USB debugging”checked”. Step 8: You’ll be promoted on next windows where you see your device is connected and ready for the process. Step 3 : Download EFS Restorer Express. You can also use the method 1 on Samsung Galaxy S4.